Show starts at 7:30 pm and lasts approximately 2 hours. LegZZ has closed and is no longer available. LegZZ, the perfect show for classic music lovers, is an exciting tribute to two of the most beloved icons in rock and soul, ZZ Top and Tina Turner. Located at the Dream Theater, where there isn’t a bad seat in the house, this high-energy performance is sure to captivate the entire audience. The performers do an amazing time getting the audience involved, making it a great option for old fans looking to relive the fun or new fans looking for an exciting experience. With so much excitement, it’s hard not to get up and dance along as you enjoy hits such as “What’s Love Got to Do With It”, “Typical Male”, “Sharp Dressed Man”, “Cheap Sunglasses”, and of course “Legs”. Releasing their first album in 1970, ZZ Top quickly took the nation by storm as all of their albums went either gold or platinum. Their biggest success was the album “Eliminator” which sold more than 10 million copies and kept the band on the top charts for three and a half years. 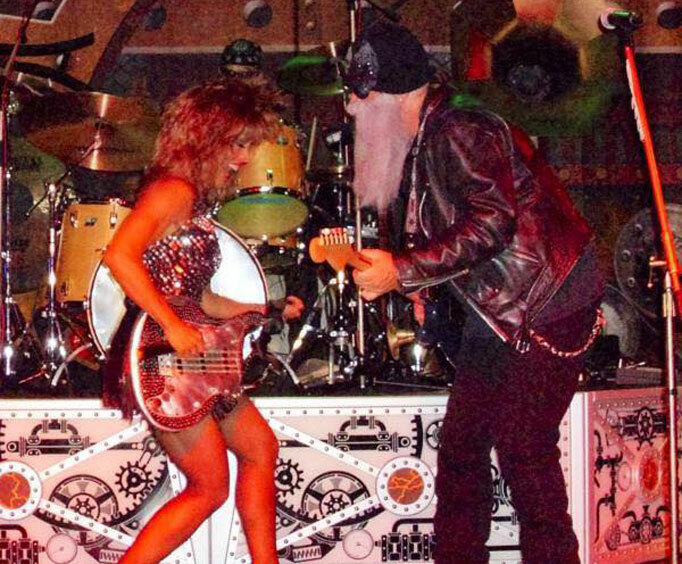 LegZZ is one of ZZ Tops most authentic tribute bands, combining perfect costuming with captivating choreography and incredible music and vocals. Tina Turner began her acting and singing career in the early 1960’s alongside her husband, but quickly turned it into a successful solo career. LegZZ focuses on the peak of Turner’s career, in the 1980’s, when the world really began to recognize her boundless energy and powerful voice. Experience the reigning queen of soul in this genuine tribute. Combining the rock hits of ZZ Top and the soulful sound of Tina Turner, this is a music lover's dream show. Do not miss out!